The Peanut Butter and Jelly Sandwich: Not only tasty, but nutritious too! I’m sure we all have fond memories of eating peanut butter and jelly sandwiches when we were young. In my childhood, I always loved getting PB&Js in my lunch box (thanks mom!) Actually, for the longest time, it was the only thing my poor mother could get me to eat (sorry mom!). Looking back now, I have no idea why I stopped eating them. I probably thought I was “too cool” once I reached middle school. Over the past few years, I’ve had the opportunity to study nutrition and learn some pretty awesome stuff. One of the coolest was learning that my favorite childhood sandwich was not only tasty, but nutritious too! 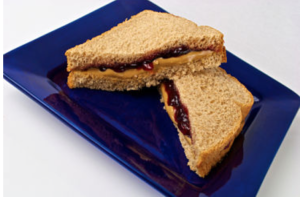 The sandwich: 2 slices of whole-wheat bread, 2 tablespoons of peanut butter, and 1 tablespoon of jelly. A common misconception is that “fat makes you fat.” However, your body needs fat to keep you feeling full, to provide energy, to create many cells in the body, and to absorb certain vitamins. There are three types of fat: saturated, monounsaturated, and polyunsaturated. The peanut butter in your sandwich contains monounsaturated fats. Monounsaturated fat has been shown to lower and control blood cholesterol levels and lowering your risk for heart disease. Who doesn’t want that? Enjoying fats in moderation may help keep you full, control cravings, and provide your body with the fat it needs. One serving of peanut butter contains about 8 grams of protein. Choosing two slices of whole wheat bread can add another 1-3 grams, depending on the brand. Proteins are considered the building block of your body and serve many important functions including: growth and repair, contributing to healthy hair, skin, and nails, acting as hormones, contributing to healthy immune function, and much much more! Also, eating protein with every meal can help you manage your weight buy keeping you fuller longer between meals. 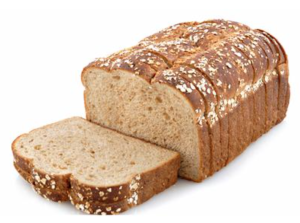 By choosing 100% whole wheat bread instead of white bread, you can increase the fiber and nutrients in your sandwich. Although we cannot digest fiber, it can help us stay healthy and prevent many digestive and long-term diseases. Even though a majority of chronic diseases such as high blood pressure, diabetes, certain cancers, and others are typically diagnosed in older adults, many of these diseases have a strong relationship with nutrition and lifestyle decades before. So don’t wait, start now! So How Does Fiber Keep Us Healthy? Fiber helps prevent hemorrhoids, constipation, and other digestive problems by keep stools nice and moist. Last, but definitely not least, the sandwich provides a wide variety vitamins and minerals. One serving of peanut butter contains vitamin E, magnesium, potassium, and vitamin B6. Whole-wheat bread provides numerous B-vitamins in addition to iron and zinc. B-vitamins assist producing with the production of energy in the body. It’s important to note that B-vitamins do not contribute energy directly; instead, they help the body create energy from the food we eat. Basically you can think of B-vitamins as little helpers to get the job done more efficiently. Vitamin E functions as an antioxidant and protects the cells in your body. Vitamin E also enhances immune function and improves the absorption of vitamin A.
Magnesium is important for bone health, energy production, and muscle function. Potassium’s role in the body includes regulating fluid balance, blood pressure, muscle contraction and nerve impulses! Iron is very important for many functions in the body including transport of oxygen from the lung to the rest of the body and involved in making amino acids and hormones. Zinc is a mineral and an antioxidant. Zinc plays an important role in almost every part of the body including blood health, growth, immune function, and protecting cells from damage. When shopping for peanut butter, there is no need to buy reduced fat, even if your goal is to lose weight. 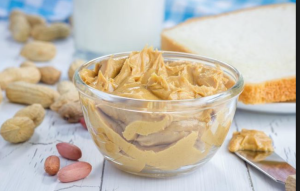 Both reduced fat and regular fat contain the same amount of calories; however, to make reduced fat taste just as good as regular, most brands add in extra sugar or salt… Basically, buying reduced fat mean decreasing the healthy fats but adding in more sugar or salt; therefore, stick with buying regular fat peanut butter. 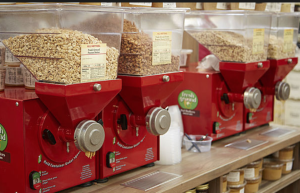 Even better, try making all-natural peanut butter by personally grinding peanuts in your grocery store! YUM! In order to get the most nutrients from bread; you should be selecting 100% whole wheat bread. Not multigrain, not white bread, or whatever else is on the shelves these days. Refined grains include white flours, sugar, soda, chips, and processed cereals. A refined grain means that it has been processed to change the texture; unfortunately, processed grains contain little fiber and lower amounts of vitamins and minerals than whole-wheat breads. You can ensure you select breads that are made with whole wheat by reading the ingredients list on the label and looking for the word “whole” before the word wheat or grain. As for jelly, try switching over the spreadable fruit! I have made the switch myself and cannot even tell the difference. 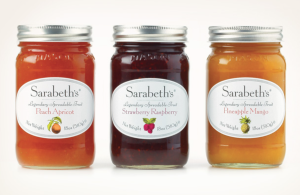 Spreadable fruits will have less added sugar or random fillers, however it may vary depending on the brand. Select the jar that has fruit as the first ingredient instead of sugar. As you can see, a peanut butter and jelly sandwich is more than just a fond childhood memory. Who would have known something so simple and tasty could be good for you too? So if you’re anything like me, and left the peanut butter sandwich behind in your childhood, it may be time to start eating it again. To turn the sandwich into a healthy meal, pair it with a small side salad, side of veggies, or even a piece of fruit! If you want to learn more or have any future topics in mind, leave a comment and I’ll try my best.